Although only one year has passed since the first VISUO drone appeared on the market, they quickly became very popular due to their low price and interesting design. At this moment you can find 6 different Visuo drones: XS809 Mini, XS809W, XS809HW Siluroid, XS809S Battles Sharks, XS812 and XS811. While the first 5 models share similar black design, the last one has a new arctic white design. All Visuo drones feature 6-axis gyro-stabilization and on-board camera. While the cheapest XS809W can be found with a 0.3MP camera, the latest GPS enabled XS812 has a 5MP 5G WiFi camera. Our review team had the luck to test two of their quadcopters. Both performed pretty well. In addition to the cool design and friendly price tag, they are super stable and easy to fly. 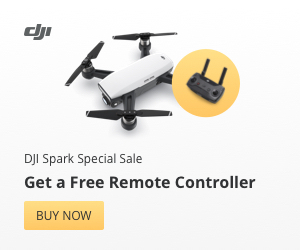 For November 2018, we selected to share three Visuo drone deals. From the cheapest model to the most versatile one. What do you do if you think the Mavic Pro looks cool, but you have only 25$ on your pocket? Well, you get a toy version of it, of course. The Visuo XS809W is one of the cheapest remote controlled camera drone with Mavic alike foldable arms. The “W” letter in its name says that the 0.3MP camera features WiFi real-time image transmission. This means you can see what the camera is seeing once you connect your mobile device to the drone’s WiFi FPV feed via the XSW UFO APP (Android and iOS available). VISUO XS809HW with 3 batteries for only $53.99! 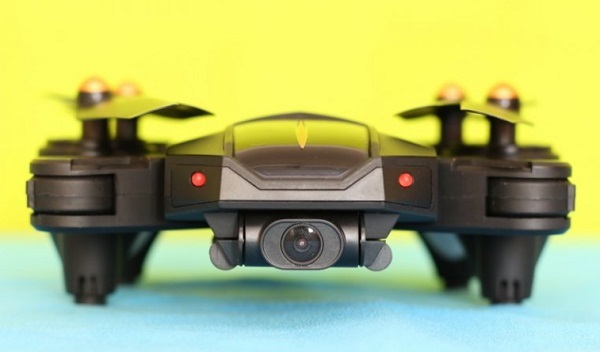 The XS809HW was the first VISUO quadcopter that we reviewed. In addition to the stylish design of the non “H”version, it features altitude-hold and better 2MP camera. Flight time and flight performance are identical with the ones provided by its cheaper twin-brother. Like all the above mentioned VISUO drones, the XS812 also has foldable arms and on-board camera. In addition to the headless flying and altitude-hold features, it has accurate GPS positioning system. Due to the high capacity battery (1800mAh), the XS812 has the longest flying time from all VISUO quadcopters. In order to take advantage of the smart flight modes (Follow me & Circle hovering) you will need to install the XSW GPS APP on your mobile device.